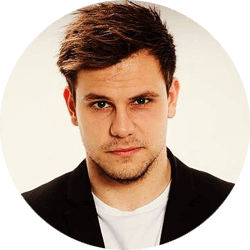 Our expert will tell you everything about CRM UNiQ. Only successful companies know what it means to build and maintain customer relationships. Perhaps you just understand that you need CRM Yes, your business needs to breathe , CRM and understand how you want to get into your business. We’ll help you. You are in the right place because we will advise you how to do it. Let’s introduce you to the whole process, we advise you, train you and your employees . In addition, we will deliver our unique UNIQ CRM system . Take a look at the DEMO version or try UNiQ for FREE indefinitely. We will teach you how to build and support long-lasting and continuous relationships with your customers. We will show you ways that will change forever your business look. You will look under the top management board to learn why it is so important for the customer to constantly feel his primary importance and, most importantly, how to achieve it. CRM software UNiQ will make it easier for your client to re-purchase, achieve his satisfaction and thus his loyalty. You will also see that the CRM system returns very quickly. The CRM system can be implemented in all business and business sectors and is becoming a strategic necessity for growth and survival. What is the benefit of CRM? With CRM UNiQ you can set goals, control success, analyze and plan the future of your business. At the beginning of each trade there is a contact. Mail, telephone, recommendation, presentation invitation, and so on. We know how to harness the maximum potential of current contacts, customers, business cases and projects. Integrating and coordinating marketing, sales and customer service in a unified and integrated approach to the care of each particular customer. 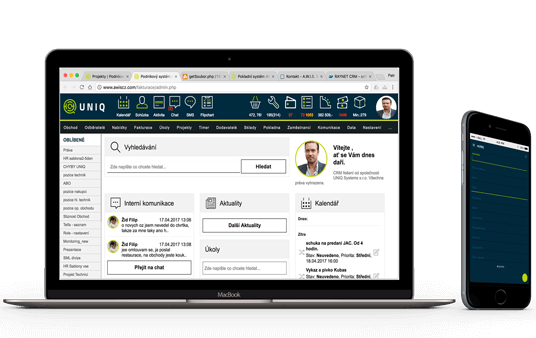 The UNiQ CRM system offers a modular solution according to the wishes and needs of the user, and extended service modules. With the introduction of the UNiQ CRM system, it has made it easier for us to take the time to deepen the loyalty of loyal customers. Our customer, our master, enjoys the absolute comfort of our services after the implementation of the CRM system. Thank you! Gallery and sample appMeet the services, features and links of the CRM system that will support your business. Linking to other systemsUNiQ is flexible. Easily synchronize it with other accounting and economic systems. Regular updatesWe update regularly and accurately, according to the demand of our users and world trends. Implementing CRM UNiQWe implement CRM UNiQ exactly to suit your needs without limiting your business. Why CRM from usWe have been developing software for 20 years. Support the Czech market and work with a quality program. Seminars, workshopsWe train you perfectly. Take all the power of CRM - work efficiently with it.